Today, Nintendo announced that it will release a new 2DS XL model, which will depict the iconic Hylian shield from the Legend of Zelda series, on July 2 exclusively to Gamestop stores. In addition, the handheld will also come with a preloaded download of The Legend of Zelda: A Link Between Worlds. Every legendary hero needs a shield, just like every legendary gamer needs a video game system that looks like a shield! like a shield! 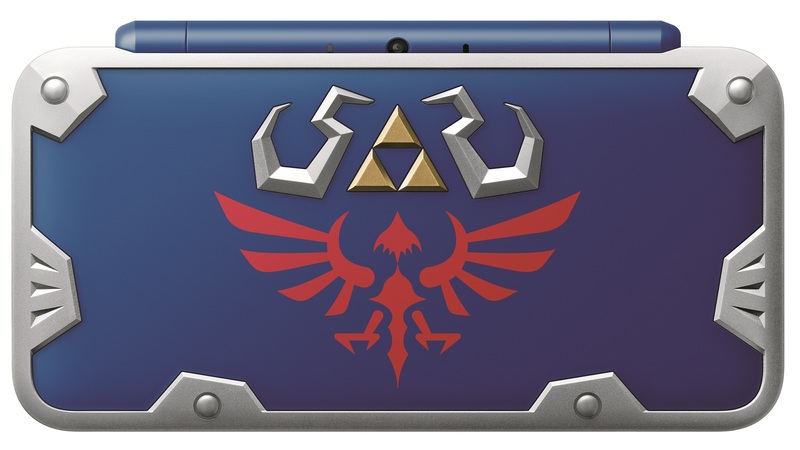 Launching exclusively in GameStop stores on July 2 at a suggested retail price of $159.99, the special edition New Nintendo 2DS XL Hylian Shield Edition system resembles Link’s iconic Hylian Shield from The Legend of Zelda series, and comes pre-loaded with the critically acclaimed adventure The Legend of Zelda: A Link Between Worlds. Check out our review of The Legend of Zelda: A Link Between Worlds, and stay tuned for more news here on Gaming Trend.